“I’ve heard that music speaks the language that words can’t speak”. “Music helps embrace the moment”. “Singularity in time when we can appreciate everything that is going on around us”. This documentary takes us on the journey to an epic night in Austin Texas where one well known band, Passion Pit, and their opening act, the “baby band” Wildcat! Wildcat! perform at the Hype Hotel. Jones’ background is telling stories through images, both moving and still. In Hello Everywhere, he creates such a powerful connection between the members of the band, and those of us watching. 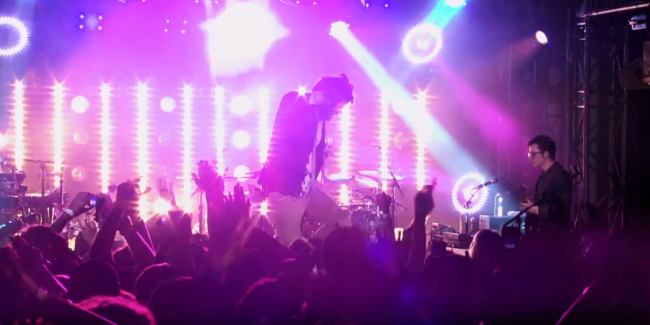 There is refreshing blend of performance video along with band interviews as well as candid fan interviews. 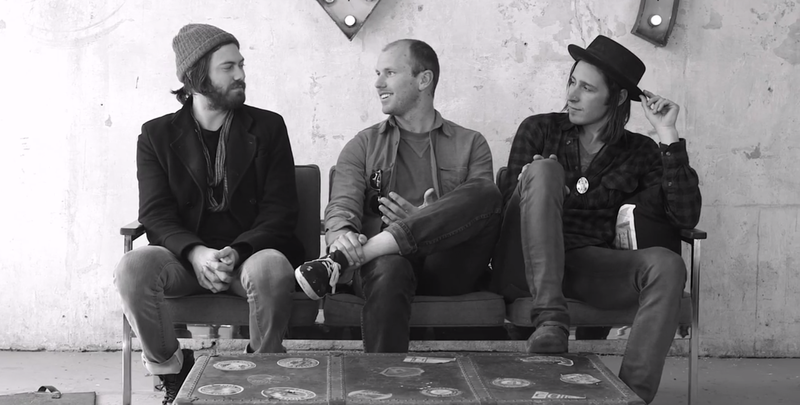 From the start of the film, we are drawn in by the realness and authenticity of each band. One having just recently played Madison Square Gardens and the other embarking on their biggest show yet. Jones seems to feel the same way about photography as do most music lovers. The almost unexplainable connection between the sound, the space, and the moment, creating an unforgettable story. Those feelings and beliefs are portrayed through this film. The band members seem to let down their guard and speak to camera very honestly. It was fun to watch two bands, both in different stages of their careers, come together for one epic night. “You’re not like close to their level necessarily…but you are literally doing the same thing, like sound checking. You literally are just playing music”. Yesterday I watched one of my favorite documentaries to date, I Am, not knowing anything about the film or the journey the filmmaker had taken in 2010 to discover what was wrong, or more importantly right with the world. 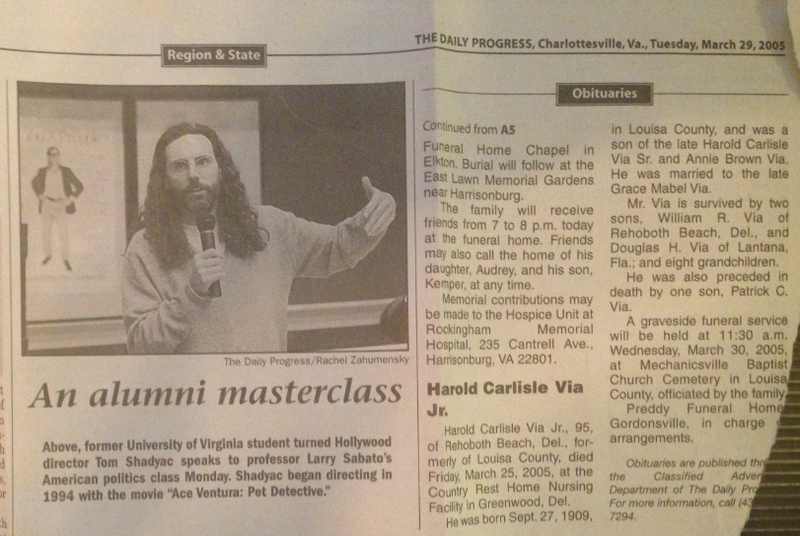 Today I found this article my father had sent me in 2005 about a former UVa graduate turned Hollywood director. I Am made me believe again that we all have the power to make a change, finding this newspaper clipping solidified my belief in the universal unity and the magic of the heart. 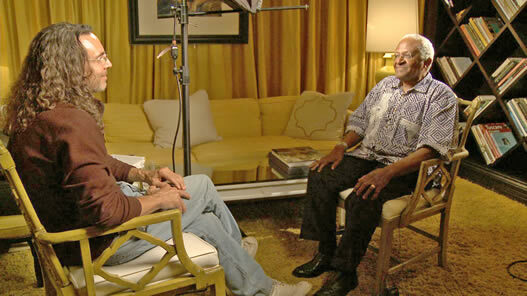 “We are, because we belong” is how Desmond Tutu describes the truth about who we are as humans, while being interviewed by director Tom Shadyac. After suffering from post-concussion syndrome, Shadyac reflects on his life and his own unique purpose as well as society’s purpose in the world we live in. He conducts interviews with scientists, religious leaders, environmentalists, and philosophers hoping to help him answer two main questions. What’s Wrong With the World? and What Can We Do About it? As someone who has asked these questions daily for over a decade and never really done anything to answer them, I was overjoyed to take this hard hitting journey with him. It is hard to put into one word, or even one sentence what Shadyac discovers as “what’s wrong with the world”, but it is easy to put in to words what the answer to “what can we do about it” is. Change can come, through critical thinking and then taking action. Oh, and love is a powerful thing. I am one who is easily moved by the “feel good” and “power of one” movies, and the Gandhi quotes as email signatures, but this film goes in to scientific concepts detailing human and animal nature. I knew there had to be something more about this film as Shadyac was coming off of directing films like Ace Ventura and The Nutty Professor. He asked the hard questions and got the hard facts; there is a universal unity. This isn’t a creation vs. evolution debate, this is a film about the mystery and the magic of the human heart. “There is only one way of eating an elephant, a piece at a time”.